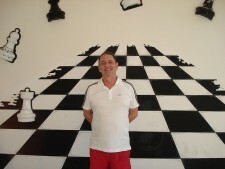 I am Reinaldo Vera, GM since 1988 and I have taken part in 10 chess Olympiads (gold medal in Kalmikia 98). I am FIde Senior Trainer. I offer lessons about hours from rookies to IM. For more info check my notes or send me an ICC message.